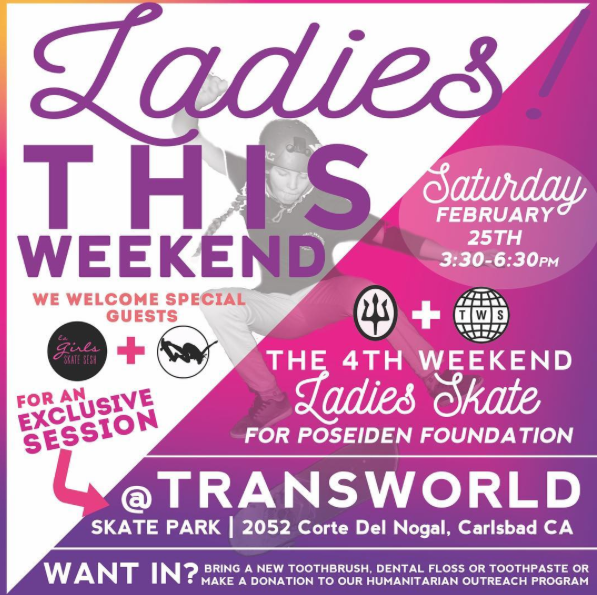 This past Saturday – February 25th – the ladies skated at Transworld Skatepark in Carlsbad thanks to an invite from Poseiden Foundation. 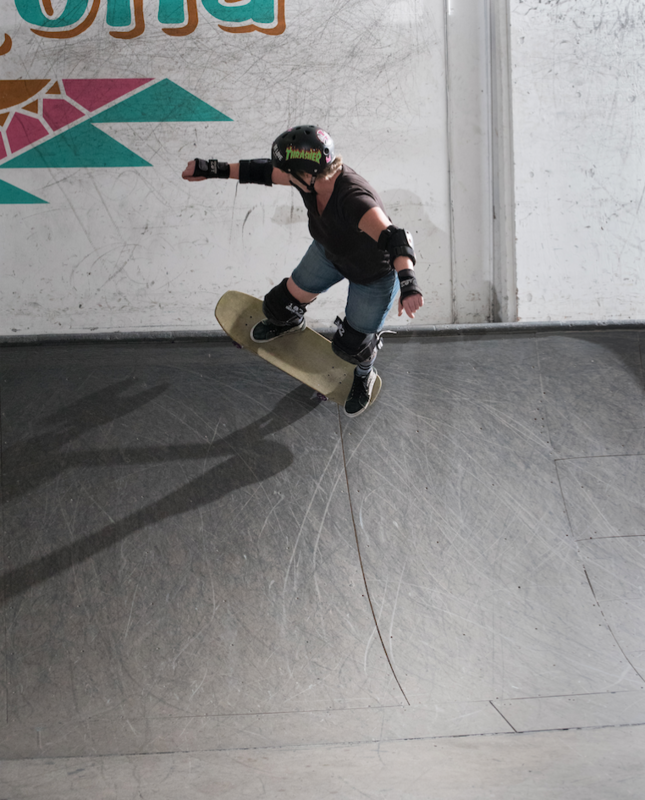 Poseiden Foundation, a non-profit lead by Micaela Ramirez, has been opening skatepark doors to the ladies for years. They’ve had 8 annual Ladies Day events at the Berrics and now in 2017 they have a monthly event the 4th weekend of the month. 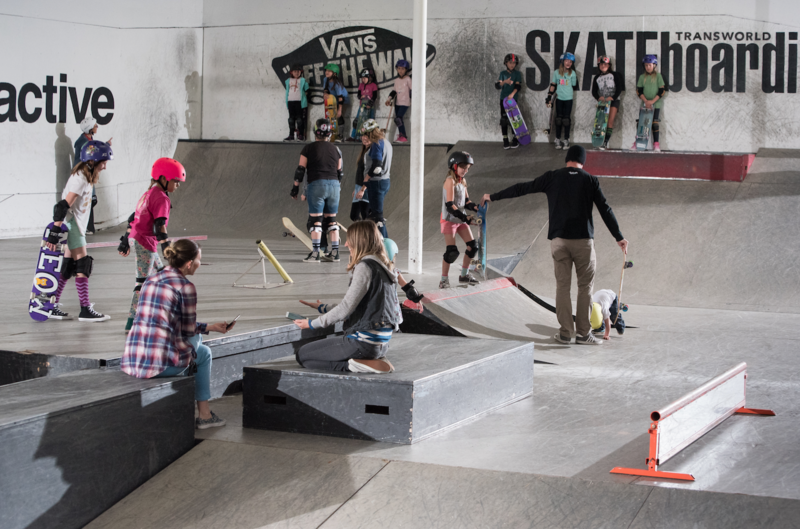 The monthly events are usually held at the Berrics in LA but every so often it’s time to mix it up so this month it was at Transworld in Carlsbad. Like past events the ticket for admission was a donation to help those in need. The Poseiden/Transworld event collected dental supplies – toothbrushes, dental floss, toothpaste. I wasn’t able to go but I was lucky enough to catch up with Micaela for this recap. Congrats, Micaela for organizing another successful Girl Power event! Micaela: About 25 girls came; it was a fun session with a couple sibling brothers to cheer them on. How many supplies were you able to collect? Also who are the kits going to? Micaela: We collected 10 dental floss, 10 toothpaste, and 36 toothbrushes. The kits are for our Humanitarian Outreach Program, and this year’s focus will be Cuba. Many families in Cuba are not able to access what we take for granted on a daily basis. This project will be a collection each month until Ladies Day at The Berrics, November 11th, 2017. We plan to make over 100 kits that will give a family of 5 the basic hygienic needs we all should have access to. I heard you had special guests LA Girls Skate Sesh & EXPOSURE Skate, was there a demo or a skate clinic or ??? Micaela: The special guests are a way for Poseiden Foundation to highlight other girl organizations that are making a difference in the community. 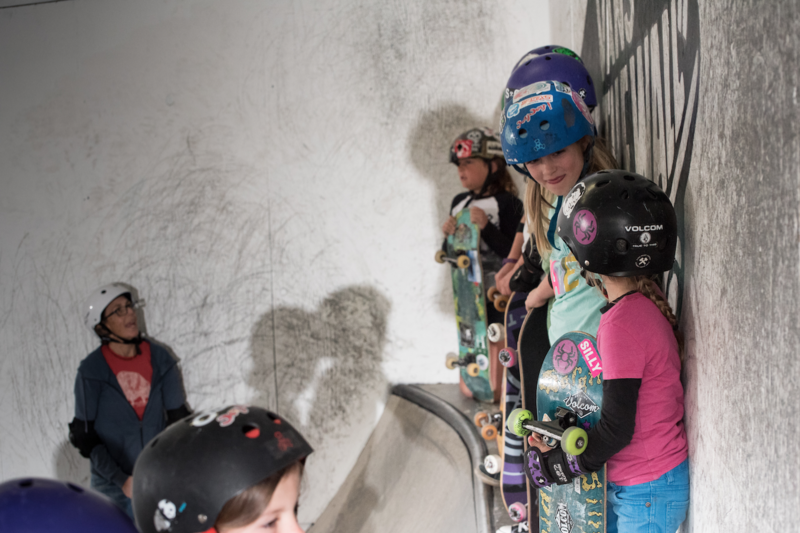 With skateboarding changing and more opportunities opening up for both males and females due to the Olympics, we find it important that we unite and work together, highlighting each others strengths and show how we as “Ladies” can all work together. How’d this month end up at Transworld? 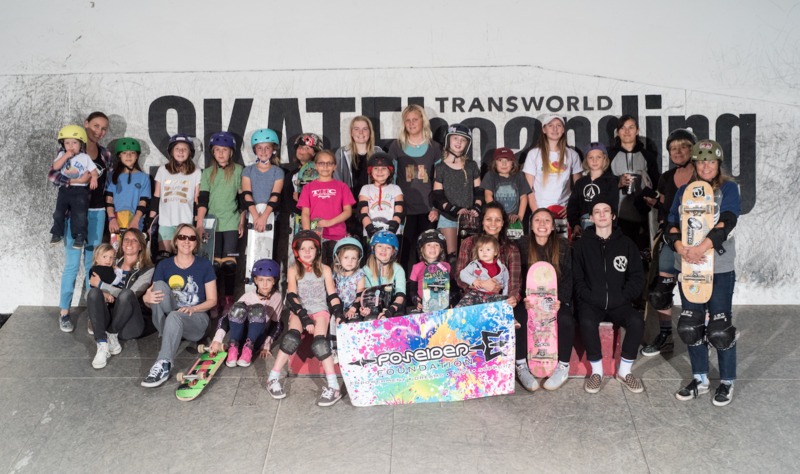 Micaela: Thanks to Chad Foreman and Mike Fitzgerald, they were able to put us in contact with Baily and Keegan who set-up the Ladies Skate Session at Transworld. Thank you guys, for making this event happen for the Ladies! The “usual” spot is the Berrics but I hear you might have other upcoming surprise locations so what’s the best way to stay informed of the monthly sessions? If people weren’t able to bring dental supplies there was an option to donate to Poseiden Foundation’s Humanitarian effort. Last year you built homes in Columbia plus hosted skate events and had a blast with the youth, what’s in store for this year and when are you going? Micaela: This year we will be teaming up with Amigo Skate Cuba, we will be visiting 3 cities, and working closely with the communities of Cuba. We will be giving skate clinics, having Best Trick Skate Contest, and most importantly, bringing supplies to the communities that otherwise not available or extremely expensive if available. These are supplies we as humans should all have access to, and we will be making a difference, not only within the skate community, with in the educational system by providing school supplies, and hygiene. Thanks Micaela for always demonstrating kindness & inspiring others to do the same. If you attended the event and have additional pictures, videos, stories to share just let me know & tag Poseiden Foundation. Always room on the blog to share more happy memories. Below some pictures by Tyler Stewart @ty_lor & yes now I’m extra sorry I missed it they had cake! Our second contest was held at Viga skatepark on December 4th. Viga is one of the many government funded projects headed by Corporacion EVG Extremo which offers a drug, alcohol, and smoke free environment for skaters to enjoy. The competition was fierce as the girls skated for best trick in both the Open and Novice divisions. Huge congratulations to Ana Rendon for taking 1st in Open and Lizeth Melissa Paez Pinto, in Novice. Other prizes were awarded for the quarter pipe, longest manual, and highest ollie over stacked boards. True to Poseiden Foundation style, the crowd went wild for our giveaways where girls and boys went home with Nikita Clothing pins, new skate parts, shirts, shoes, and enough stickers to spread across Colombia! We look forward to following these talented humans and hopefully seeing them fulfill their dreams of competing in the USA! Poseiden Foundation is passionate about treating the environment kindly and we strive to educate, motivate, and participate in environmental conservation activities. On December 4th we continued our ongoing collaboration with Techo, an international, nonprofit organization that mobilizes youth volunteers to fight extreme poverty in Latin America by building transitional housing and implementing social programs. 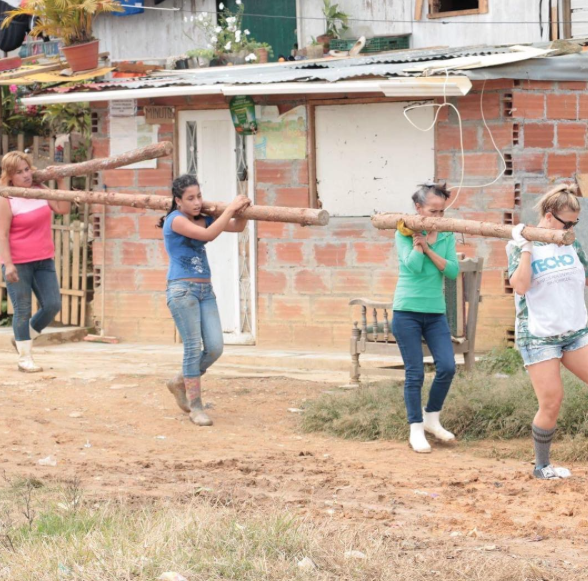 Techo por Colombia partnered with the entire Humanitarian Tour team to help build a community garden in the Nueva Jerusalen barrio which will grow enough fruits and vegetables to feed over fifty families! The local children spent the day learning about photography with filmer Mecu Videla while the families explained their immense gratitude for this opportunity of providing food for their loved ones. One of the proudest moments of the tour was the December 2nd Inauguration Ceremony at the Concejo de Medellin (City Hall) where EVG Extremo, Skategirl Colombia, and Poseiden Foundation were recognized as leaders in the history-making, female skateboarding movement! Emotions ran high as the Skategirl ladies presented on the importance of healthy habits, the history of skateboarding, and our very own team leaders: Micalea Ramirez, Amelia Brodka, and Paco Manzanares delivered powerful speeches on the importance of believing in yourself to a room full of supporters. With backing from the government and the determination of these athletes, Colombia is on track to take the industry by storm! 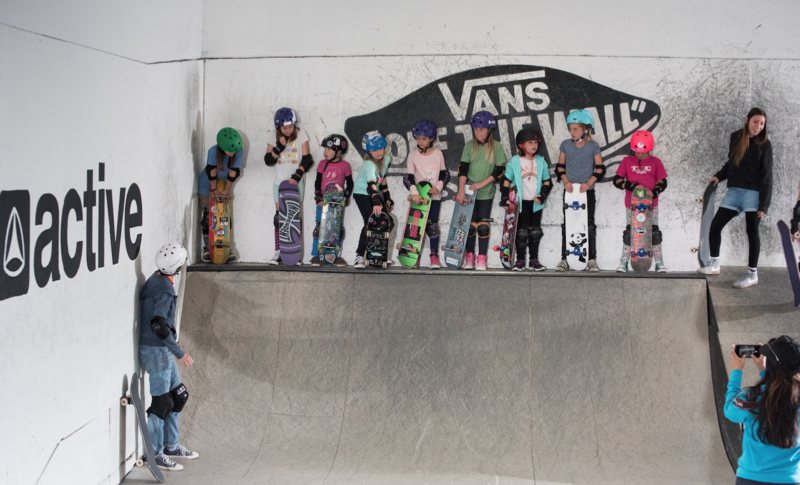 There was certainly no shortage of magic, madness, or mayhem at the 8th Annual Ladies Day at the Berrics which went down in history Saturday, November 12th 2016. Once again, Poseiden Foundation paired up with Steve Berra and The Berrics dream team to offer the best Ladies Day event to date with a huge turnout of sponsors, pros, supporters and skaters from all ages who all came out to ride, empower one another, and of course- compete in the three “Best Trick” contests for over $7,000 in cash and prizes! 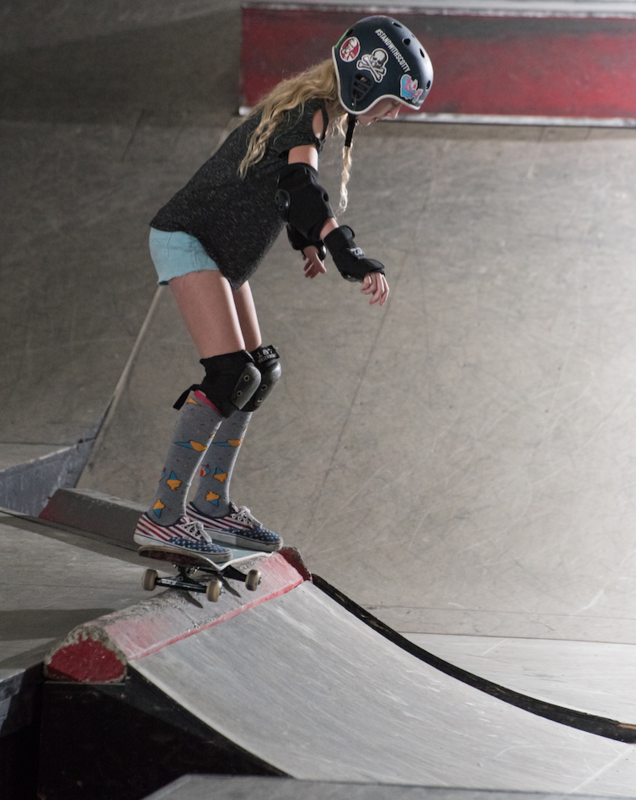 Each year, since the first Ladies Day at the Berrics in 2009, Poseiden Foundation and the growing list of amazing sponsors continue to collaborate and dedicate valuable resources making Ladies Day one of the most highly anticipated girls skate events of the year- as well as being the final comp in the 2016 “Dream Series”. 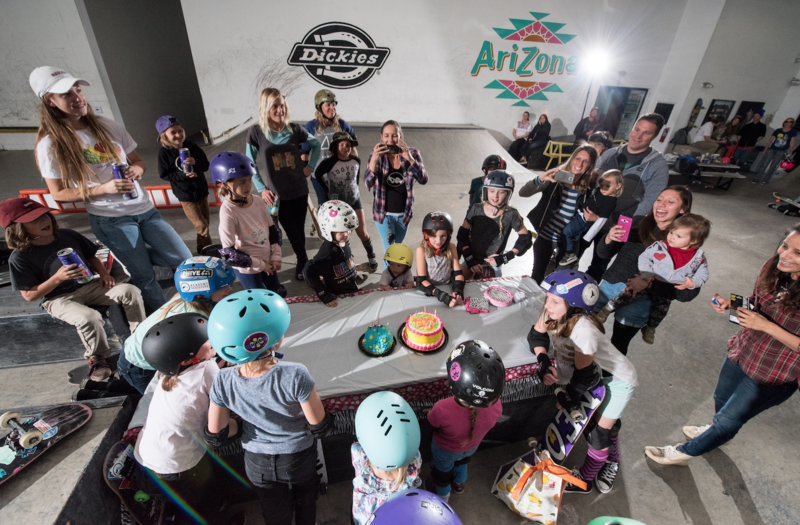 The 8th Annual Ladies Day took things to a whole new level with a 14 and under open session before the contest, a Refer-A-Friend promotion, and they even had a piñata donated by the Ramirez Family that was smashed up by girls of all ages using of course, their skateboards. The magic was in the air as one of our favorite girls, Anacleta Rendon, met her long time idol Leticia Bufoni. There were heaps of moments like this as our groms got to cruise with the pros. 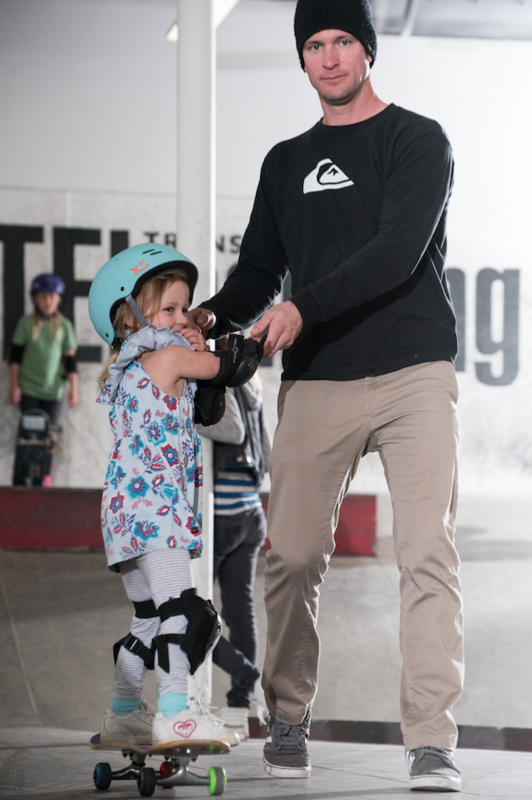 Passing on the love of skating from generation to generation is one of the most rewarding goals of the Poseiden Foundation. With all the warm, gushy stuff captured- the contests for best trick on the Manny Pad, 5 Stair, ad 7 Stair brought out all the cameras! Huge thanks to the best sponsors ever: Active, Nikita Clothing, Skullcandy, The Berrics, Surfboard Broker, BioMed Supplies, Dwindle, Etnies, Sunset Skateboards, Boneslovemilk, AceTrucks, Lesli Cohen, Cantarini Tractor and so many more, for donating mad cash and a ridiculous amount of product towards the prize purses. It was a tough competition this year with more and more top skaters coming out to rip at the Berricks and take home that oversized $3,000 check. With a front 360 on the 7 stair, the top prize was won by Mariah Duran who kept the crowd going all day. The 5 stair definitely didn’t disappoint either, with Amanda Castillo taking the class with her varial flip and walked away with $2,500 worth of prime gear and clothing from our sponsors. 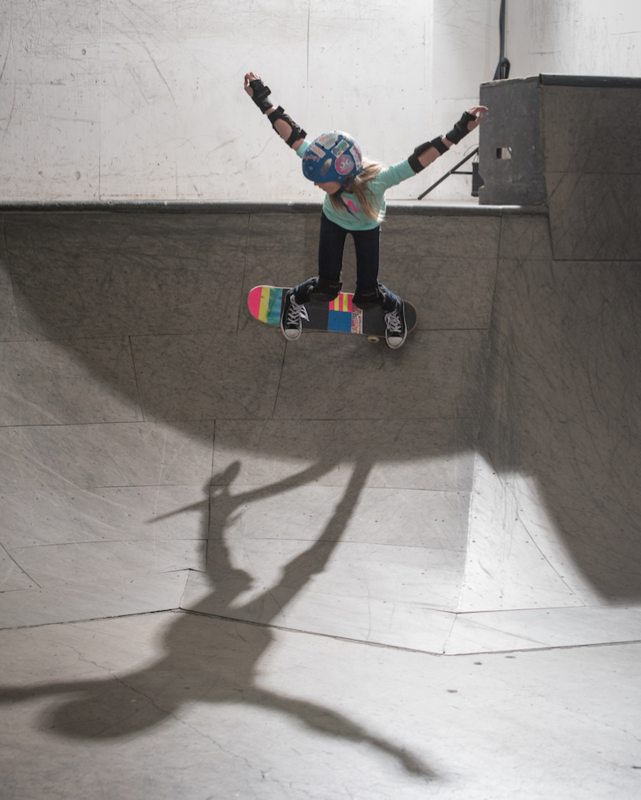 Winning the Manny Pad contest with a kickflip up to front 50, back 180 off was Emma Houle. She won a huge product package over $2,000 and has enough skate clothes to shred for the next year! As if skating with the homies, getting free gear, and hanging with industry superstars wasn’t enough, Poseiden Foundation shared the love with several charities both locally in Los Angeles, as well as globally. Everyone who came out donated canned food and skateboarding equipment. 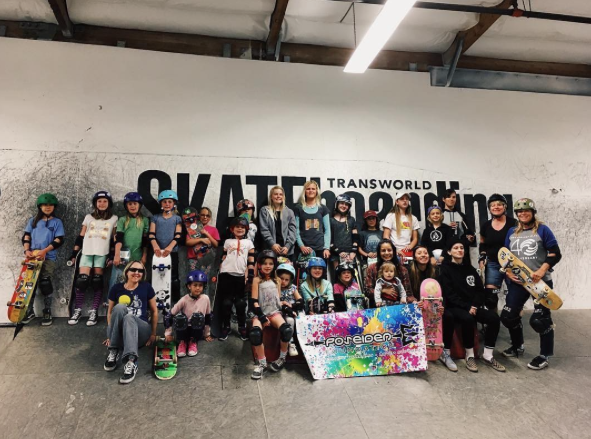 It was an insane success with 100% of the donations going to LA Girls Skate Sesh who plan to ride to local homeless areas personally delivering the canned food as well as sharing the skate gear to local kids wanting to get their chance at the sport. Poseiden Foundation founder, Micaela Ramirez shared, “It warms my heart beyond words to see so many people who love this sport also feel passionately about helping others in need. It’s remarkable how much of a difference this group of people made for LA homeless”. The stoke doesn’t stop here in Cali…Poseiden Foundation is gearing up for their Humanitarian Outreach Tour in Columbia where they with partner with Techo of Latin America to skate con gusto, share their love and empowerment of all youth through skating, and build several homes for rural communities in need. All thanks to everyone who came to support Poseiden Foundation and Ladies Day at the Berrics. With skateboarding joining the Olympics, there is truly no saying how far skateboarding will go, or how many lives the sport will impact along the way- how many youth will pick up a skateboard and make it their lives. One thing is for sure, Poseiden Foundation, Ladies Day at the Berrics, and the Dream Series 2017 will be there changing lives! Still want more? Check us out on Insta to see more about Ladies Day and follow Poseiden Foundation in Columbia! Be sure to come out and show your Spooktacular Holloween Spirit! This is a great way to spend your Sunday, and get your practice on! Winner of Hippie Jump, It’s A Secret…Shhh..